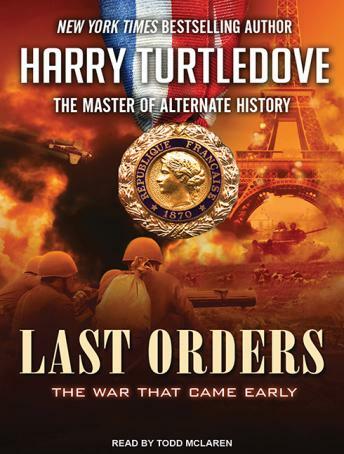 In an extraordinary saga of nations locked in war, master storyteller Harry Turtledove tells the story of World War II, which begins over Czechoslovakia rather than Poland, eleven months earlier than it really came. Now comes the final installment in Turtledove's landmark World War II series. Hitler's Plan A was to win in a hurry, striking hard and deep into France. There was no Plan B. Now the war grinds on, and countries have been forced into strange alliances. For the United States, the only enemy is Japan. Then Hitler becomes desperate and declares war on the United States. But is it too late? His own people are rising up in revolt. The German military may have to put down the violence-even perhaps bomb its own cities. In this epic drama, real men and women are shaped by the carnage, and their individual acts in turn shape history. Drawing on the gritty, personal reality of war and on a cast of unforgettable characters, Turtledove has written an alternate history that intrigues, fascinates, and astounds.